US police are struggling to establish a motive for a shooting spree at an evangelical church service that killed eight people, including the gunman. 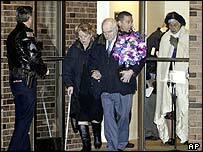 Terry Ratzmann, 44, shot dead seven churchgoers in Brookfield, Wisconsin, before turning the gun on himself. No suicide note was found during a search of his property, according to police chief Daniel Tushaus. Neighbours meanwhile have described Ratzmann as a quiet, devout man with a passion for trout and tropical plants. He regularly attended services at the Living Church of God, an evangelical group that met at Brookfield's Sheraton hotel to mark the Sabbath on Saturdays. Four died at the scene of the shooting on Saturday and three others died later of their injuries, police said. They ranged in age from teenagers to over-60s. "At this point, we're unable to determine if he had specific targets or he just shot at random," police captain Phil Horter said. Ratzman fired 22 shots into the church, reloading once, before shooting himself, police said. A neighbour was quoted as saying: "He was the quietest guy in the world, the nicest." The group is an evangelical church that observes the Sabbath on Saturday, not Sunday. Two boys aged 15 and 17, a 72-year-old man and a 55-year-old woman died at the hotel. 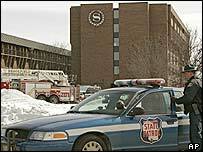 Three men ranging in age from 44 to 58 died later at a hospital. Four others - two men, a 20 year-old woman and a 10-year-old girl - remained in a serious condition in hospital. Brookfield is a western suburb of the city of Milwaukee. The Living Church of God says it operates in North and South America, Europe, Asia, Africa, and Australia. It has scores of ordained ministers and more than 200 congregations, it says.